If you want an easy way to make your gifts look extra special this year, don't go buy more dollar store bows. Instead, make fluffy pom poms to embellish your gift wrapping job! It's super easy to do and very Anthro-chic. 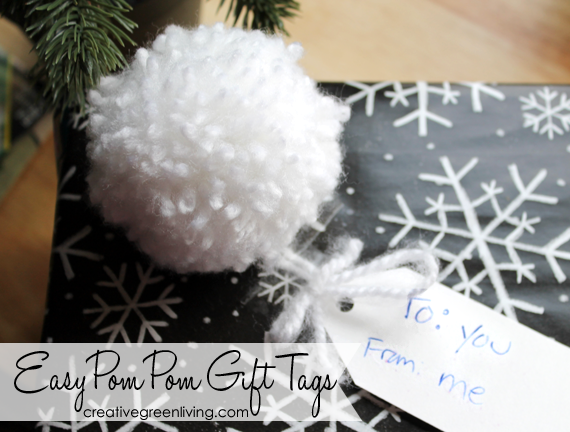 Of course, you can use pom poms for all kinds of crafts but this time of year, pom pom gift tags are my favorite.